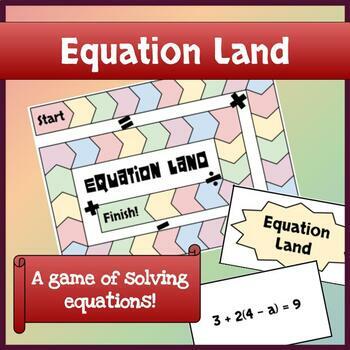 This is a great, engaging game to practice solving equations. 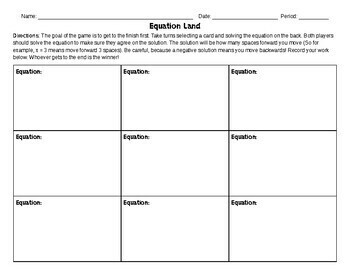 For this game, students can work in groups of 2-3. Each group will have a board and a deck of cards, included in this file. The winner is whoever gets to the finish first. 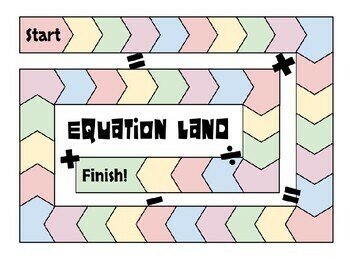 Students take turns drawing a card, and solving the equation on the back. Have both students solve the equation so that they agree on the correct answer. The solution is how many spaces forward the student moves - so for example, x = 3 means you move forward 3 spaces. There are a few negative and zero solutions, so watch out! You can laminate them to use again and again, or have students cut out the cards before they play. Your choice! 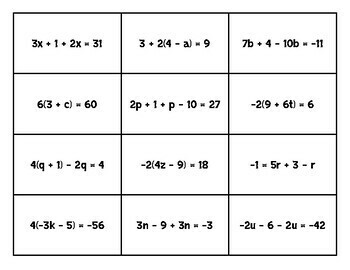 For the game cards, there are 12 questions on 2-step equations, 24 questions on multi-step equations, and 12 questions on equations with variables on both sides. Choose any (or all!) equations you want to use in the game. Just make sure there are at least 2 pages of cards so that students have enough questions to get to the end!